To make sure the Madison, Wis., city water supply remains sustainable, Madison Water Utility (MWU) began the East Side Water Supply (ESWS) Project in 2010 to study and recommend infrastructure improvements to the city’s water system. At the study’s conclusion, Well No. 7 was found to be in need of an upgrade. When turning on a faucet, it’s expected that clear water should flow readily into a waiting glass, but, for many communities, this isn’t always the case. 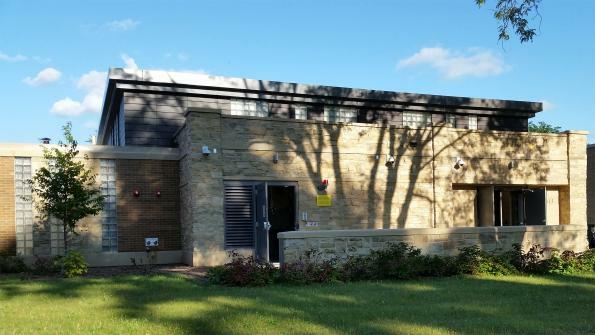 To make sure the Madison, Wis., city water supply did not become one of those communities, Madison Water Utility (MWU) began the East Side Water Supply (ESWS) Project in 2010 to study and recommend infrastructure improvements to the city’s water system. At the study’s conclusion, Well No. 7 was found to be in need of an upgrade. With assistance from Madison Wis.-based engineering firm Strand Associates, Inc. and architectural design firm Potter Lawson, MWU set about reconstructing the well. Project goals included: improving water quality, restoring the facility to full capacity, and blending the new structure into the well-established community aesthetics. Constructed in 1939 as a Works Progress Administration (WPA) project, Well No. 7 provides water to more than 10,000 Madison residents. The water, however, contained elevated levels of manganese and iron, which resulted in colored water events and customer complaints. To mitigate this, the team designed a high-rate pyrolusite filter system. Chlorine is introduced prior to filtration to serve as an oxidant to remove the iron and manganese and as a disinfectant. Chlorinated water is pumped to the pressure filter and the pyrolusite media adsorbs any contaminants. Following the pyrolusite media bed, the treated water is fluoridated and flows to a new 500,000-gallon reservoir. The filters are then backwashed. Each backwash requires 30,000 gallons of water, of which 95 percent is recycled. To achieve this, the backwash waste is allowed to settle; then a custom floating skimmer “skims” off the water and recycles it to the filters. To soften the structure’s visual impact, the team varied the heights of the facility and incorporated stone from the original structure’s exterior. A wall panel of recycled exterior stone with the original WPA plaque was also installed. Click here to learn more about Strand Associates.